Have You Been Charged With A Firearm Or Weapon Possession Offense In New York? Nassau County Takes Firearm And Weapon Charges Seriously! 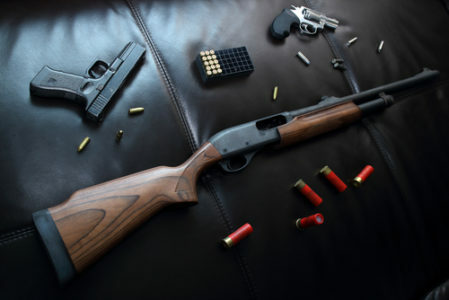 FIGHT YOUR FIREARM AND WEAPON POSSESSION CHARGE WITH AN EXPERIENCED NASSAU COUNTY CRIMINAL DEFENSE LAWYER! DO NOT PLEAD GUILTY TO FIREARM OR WEAPON POSSESSION CHARGES IN NEW YORK! Given the tragic events associated with firearms and weapons over the past several years, New York State has taken an increasingly tough stance on the possession of these items. In fact, adults and minors alike can face serious penalties and criminal records if New York State firearm or weapon possession laws are violated. Today, one of the top criminal defense lawyers helps to explain the most common firearm or weapon possession offenses in New York State as well as how these charges can affect your life. Because of the devastating consequences of a conviction or a guilty plea, The Law Offices of Michael H. Ricca P.C. urges you to contact our offices if you or a loved one has been charged with firearm or weapon possession offense. In New York State, offenses are criminalized by the State’s penal laws.  These laws, collectively known as the New York State (NYS) Penal Laws, outline the behaviors and activities that are deemed illegal by the legislative body. Laws that criminalize firearm and weapon possession fall under Article 265 of the NYS Penal Law. While there are a multitude of offenses under this Article, let’s take a look at those firearm and weapons possession charges most commonly seen in New York. Article 265 opens with Section 265.00, which defines several of the commonly used terms related to firearm and weapon possession offenses. You can find a definitive and comprehensive list of terms by reviewing this section. however, we have defined below some of the commonly used terms to help you better understand the laws discussed below. Section 265.00 defines a firearm as: a) a pistol or revolver; b) a shotgun that has at least one barrel measuring less than 18-inches in length; c) a rifle that has at least one barrel measuring under 16-inches in length; d) a weapon that has been made from a shotgun or rifle, with a length of less than 16-inches; or e) an assault weapon. Certain types of knives are also criminalized under Section 265.00. These include several types of automatic knifes, including switchblade knives, gravity knives, pilum ballistic knives, and metal knuckle knives. It should be noted that many types of service providers, such as electricians, contractors, and plumbers, use gravity knives every day. Because they are illegal, however, an electrician who is pulled over with a gravity knife visible in their toolkit may find themselves facing more than just a traffic citation. If this has happened to you, we urge you to contact our law offices today for your free consultation. The possession of a dangerous knife, such as a dagger, dirk, or razor, as well as an imitation pistol may also be illegal if use of such a weapon is with the intent to commit an unlawful act. Furthermore, possession of a firearm by a convicted felon or an individual who is not a citizen of the US is also considered a violation of Section 265.01. Certain mental illnesses may also mean that you are “certified not suitable” for possession of a rifle or shotgun. Additionally, being in possession of a bullet that contains an explosive substance or ammunition that can pierce armor is a fourth degree possession offense. According to Section 265.01, Criminal Possession of a Weapon in the Fourth Degree is considered a Class A Misdemeanor. New York takes the safety of its students seriously. To help keep students safe, New York has established certain penal laws that strive to eliminate the possession of weapons in or around school grounds. Section 265.01-a refers to the possession of a firearm in or upon any type of school ground or school bus without written authorization. The only exception is on forestry land that is owned and managed by the New York College of Environmental Science and Forestry. Being convicted of Criminal Possession of a Weapon on School Grounds is a Class E Non-Violent Felony in New York. Section 265.01-b is very similar to Section 265.01 in that it criminalizes possession of a firearm. However, Criminal Possession of a Firearm charges include failing to register any firearm owned prior to the 2013 laws that established this requirement. This offense is also considered more serious. In fact, Criminal Possession of a Firearm is a Class E Non-Violent Felony in New York. There are several different reasons you may find yourself charged with Criminal Possession of a Weapon in the Third Degree. If you are guilty of Criminal Possession of a Weapon in the Fourth Degree, but have been previously convicted of any crime, you may find your charges elevated to a Third Degree offense. Being in possession of an explosive or incendiary bomb, firearm silencer, machine-gun, or weapon that simulates a machine-gun effect is also a Third Degree charge under this law. Being previously convicted of a felony or a NYS Penal Law, Article 265 Class A Misdemeanor within the previous 5 years, will also result in this charge if you are caught with a weapon. Being in possession of 3 or more firearms outside the home or place of business, assault weapons, disguised firearms for concealment, and large capacity ammunition feeding devices are also strictly forbidden by this law. Additionally, if you are in possession of an unloaded firearm during a drug trafficking or violent felony, you may also be charged with this crime. Criminal Possession of a Weapon in the Third Degree is a Class D Violent Felony. If you possess a machine-gun, loaded firearm, or disguised gun with the intent to use the weapon against another person, you may find yourself charged with a Section 265.03 offense. Criminal Possession of a Weapon in the Second Degree also applies to the possession of 5 or more firearms or a loaded firearm outside of the home or place of business. This is a Class C Violent Felony in New York State. Criminal Possession of a Dangerous Weapon in the First Degree is a serious offense. As such, there are only 2 ways you may find yourself charged with this offense. If you are in possession of any explosive substance and you plan to use it against another individual or property, this law makes it a crime. Also, if you are in possession of 10 or more firearms, you can be charged with this crime. Because of the seriousness of this offense, Criminal Possession of a Dangerous Weapon in the First Degree is a Class B Violent Felony. If a person, who is under the age of 16, is caught with a firearm, air-gun, spring-gun, or dangerous knife they may find themselves facing a Section 265.05 charge. However, unlike adult crimes, juvenile criminal guidelines are a bit different. A violation of NYS Penal Law 265.05 is considered a Juvenile Delinquency crime. New York State has little tolerance for those who illegally possess firearms or weapons or intend to use these items for criminal reasons. This means the outcomes of a conviction or a guilty plea will likely be severe. Firearm and weapon possession offenses range in severity and consequences. To determine what incarceration and fines you may be sentenced to, please take a look at the table below. In New York State, a juvenile is an individual who is between the ages of 7 and 16. If the offense they are charged with would be considered a crime for an adult, a conviction would result in the minor being labeled a “juvenile delinquent.” As such, the state would bring charges against the minor in Family Court. However, if the minor is over 13 years of age and the crime is considered more serious, there is a chance they can be tried in criminal court. If this occurs, a Prosecutor would file charges in the criminal Court and the individual will be labeled a “juvenile offender” if convicted.  While the New York State judicial system strives to rehabilitate youthful offenders, a conviction at this early age has been linked to high recidivism rate in adults. In other words, for many who find themselves convicted of crimes as a juvenile, the likelihood of reoffending as an adult is extremely high. This makes it essential that you speak with an experienced criminal defense lawyer, like Michael H. Ricca, should your child be charged with any type of crime. Do not risk your child’s future on a public defender or pleading guilty. Employment: Jobs that require background checks will likely dismiss your application outright if a felony crime is discovered. This is especially true when firearms or weapons convictions are present on your criminal record. Loans: With your employment opportunities becoming limited, having the option for a loan may seem ideal. However, financial institutions are also likely to reject loan applications from convicted felons. This includes housing, auto, and personal loans that may help you recover from or pay the fines you incurred as a result of your conviction. Housing: Private housing, as well as public housing benefits, may be unavailable to convicted felons. Colleges: If attending college was one of your dreams, a conviction can hurt your chances of being accepted to universities throughout the country. Loss of Rights: Felons also suffer from a loss of certain rights. This includes the right to vote and serve as a juror. In addition to this, certain parental rights may be terminated, such as the ability to adopt a child or win a custody battle with your child’s other parent. Impacts to Personal Relationships: Sadly, personal relationships are also typically damaged by criminal convictions. Long durations spent in jail, your limited employment potential, as well as the financial impacts and damage to your reputation can devastate families and friendships alike. Future Criminal Charges: All firearm and weapon possession convictions result in a criminal record. Because New York State takes criminal records seriously, any subsequent charges you may face will likely be increased in severity due to a previous firearm or weapon possession conviction. CRIMINAL DEFENSE WITH THE LAW OFFICES OF MICHAEL H. RICCA P.C. The Law Offices of Michael H. Ricca P.C. provides experienced, dedicated, and quality private counsel for individuals charged with crimes in New York State. As Nassau County’s best criminal defense lawyer, every case we take receives the attention it deserves. If you or a loved one has been charged with a firearm or weapon possession offense in New York, call us today for your free consultation.